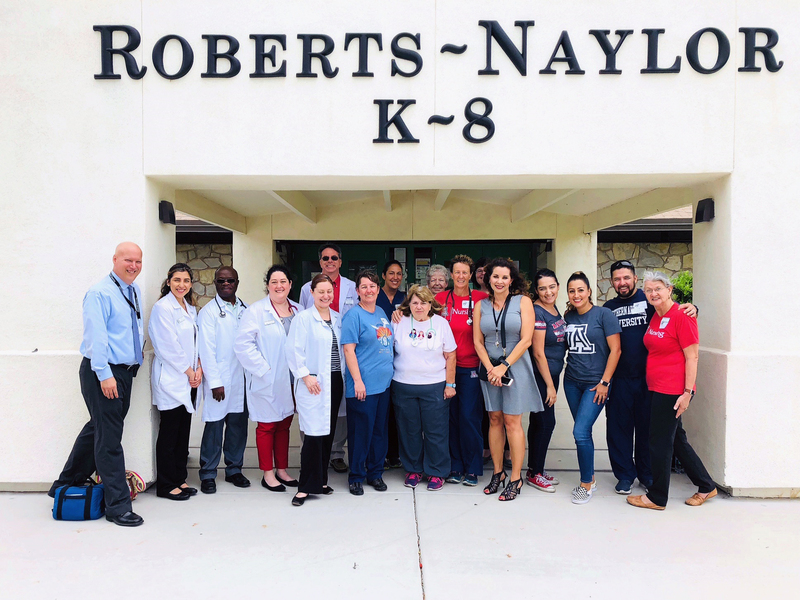 On Friday, August 15, University of Arizona College of Nursing Clinical Assistant Professor Theresa E. Allison, DNP, FNP-C, led a group of UA CON Nurse Practitioner Faculty to provide sports physicals to underserved children at the Roberts Naylor K-8 School. A majority of Roberts Naylor students are from low-income backgrounds, which means their parents are unable to afford to pay out of pocket for a sports physical, a requirement from the State of Arizona for any middle to high school students who wish to participate in sports. Thanks to Dr. Allison and her team, students who would not otherwise have the opportunity to participate in sports received the necessary screening. The physicals are particularly beneficial, she points out, because by getting children active and interested in sports helps them both physically and mentally. “Hopefully this pattern continues into high school and potentially be an avenue to get a college scholarship and allow them get a higher education,” she says.